630 CHED launched on March 3, 1954 is a Canadian English language broadcast station and the sibling of CHQT, CKNG-FM, CHQR: News Talk 770 and CISN-FM. The network owning the station also holds a TV station CITV-DT. Corus Entertainment is the current owner of the channel. After a series of twists in the ownership Corus finally managed to get the ownership in 2000. Corus got its license renewed by CRTC in 2003. 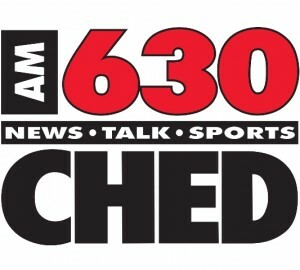 Transmitting News, Talk, Sports and variety content in the city of Edmonton, Alberta, CHED is on Air on 630 AM. As News Talk 770 is for Stampeders, the AM 630 is voice of the NHL Edmonton Oilers and CFL Edmonton Eskimos. For quite a time the station has remained in the Top 40 North American stations having an overwhelming audience share of 40%. Listen Radio 630 CHED live form Edmonton Canada. Wait as the steam loads.